His Royal Highnesses Crown Prince Alexander gave the key speech at the opening of the Central-Eastern Europe Building Efficiency Workshop which is organized by The Building Efficiency Accelerator (BEA) partnership of the United Nations Sustainable Energy for All (SE4ALL) Initiative, UNEP, the World Resources Institute (WRI) and the City of Belgrade, from 28th – 29th September 2017, at the Ceremonial hall in the City Hall Belgrade. “At the time the Old Palace was built, as in the case of many other existing buildings, not much thought was lgiven to its energy use. That has to change for this historic building and our entire building stock. You are here as experts in the field of energy and its utilization in buildings. Thank you, on behalf of this Old Palace, for sharing that expertise with the audience here in Serbia during the next two days. During the twentieth century, the developed countries have designed, finance and constructed complex and interrelated systems of energy production, delivery, storage and conversion for each of these energy sources. Energy efficiency has been recognized as an important element in national and international energy plans and policies. The International Energy Agency (IEA), reports that half of global emission reductions can be achieved at least cost through energy efficiency measures. The United Nations Intergovernmental Panel on Climate Change (IPCC) and other respected institutions have reached the same conclusion with respect to the importance of energy efficiency measures. 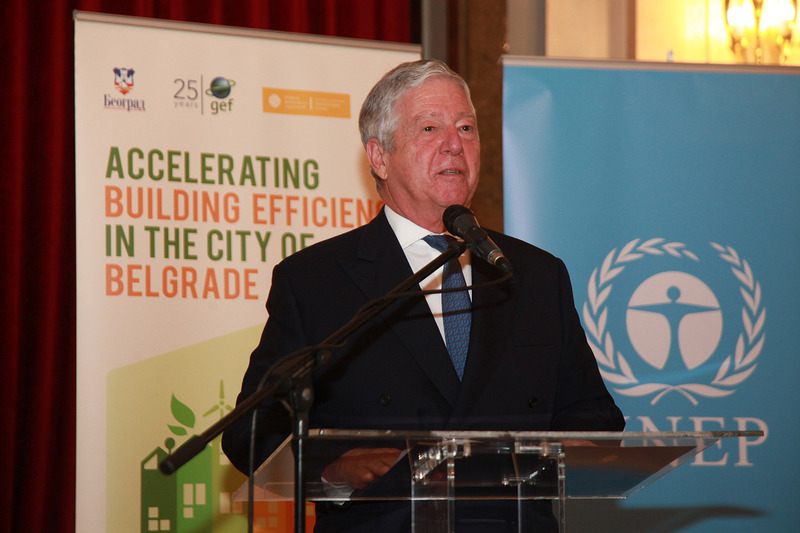 It is my hope that this two-day workshop will lead to real improvements in energy efficiency for the buildings in Belgrade and other cities in Serbia”, said HRH Crown Prince Alexander in his address. 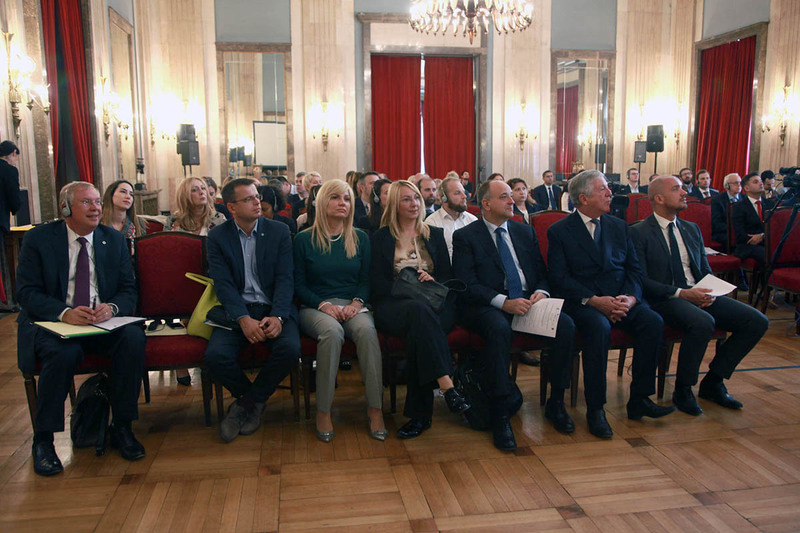 Other speakers were Borko Milosavljevic, Assistant Mayor of Belgrade, Stevica Dedjanski, State Secretary of the Ministry of Mining and Energy, Ivana Vilotijevic, City Secretary of Environment, Natasa Putnik, City Secretary of Energy, Lily Riahi, Energy, Climate and Technology Branch, Economy Division UN Environment and Clay Nesler, Building Efficiency Accelerator. The WRI (acting as secretariat of the BEA), and other BEA partners connected city officials and building, energy efficiency experts from across Central-Eastern Europe, providing with this workshop a forum to share experiences and challenges relating to municipal building efficiency retrofit, but also other important building efficiency topics, such as finance. Specifically, this event will allow city participants to meet their regional peers and expert external partners to discuss solutions in accelerating municipal building efficiency initiatives and goals in Central-Eastern Europe, to engage with financial and technical experts, to discuss and network with fellow Central-Eastern European cities on the challenges for developing and building efficiency policies and project, to address through the lens of Belgrade’s experience, as well as to lean about opportunities for assistance from the Building Efficiency Accelerator partnership.